So…let’s talk about these brownies. The bad news: They are highly addictive. The good news: You can make them and still keep your New Year’s Resolution! For the love of all things chocolatey and peanut buttery. I recently discovered the blog Sally’s Baking Addiction and, well, wowza. Not only are her desserts beautifully photographed and delicious-looking, but they are approachable as well! A foodie blog that isn’t horribly intimidating? Yes, please! After spending a good amount of time (probably over an hour) browsing through her blog, I knew I had to make these brownies…along with a growing list of other delectable desserts. They have everything you could ever want in a brownie. 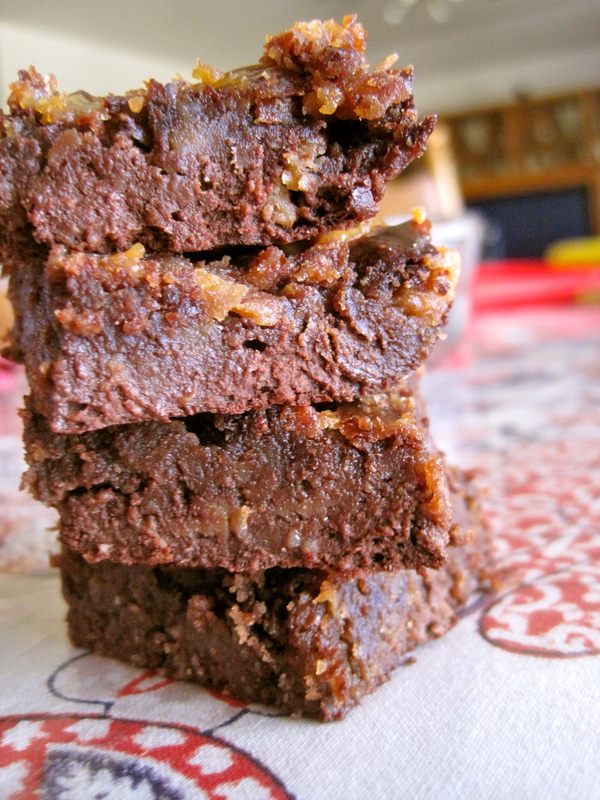 They are extremely melt-in-your-mouth fudgy, rich, chocolatey, peanut buttery, and very dense. And with no butter, oil, or white flour, they are relatively guilt-free! The peanut butter swirl takes these to a whole new level. 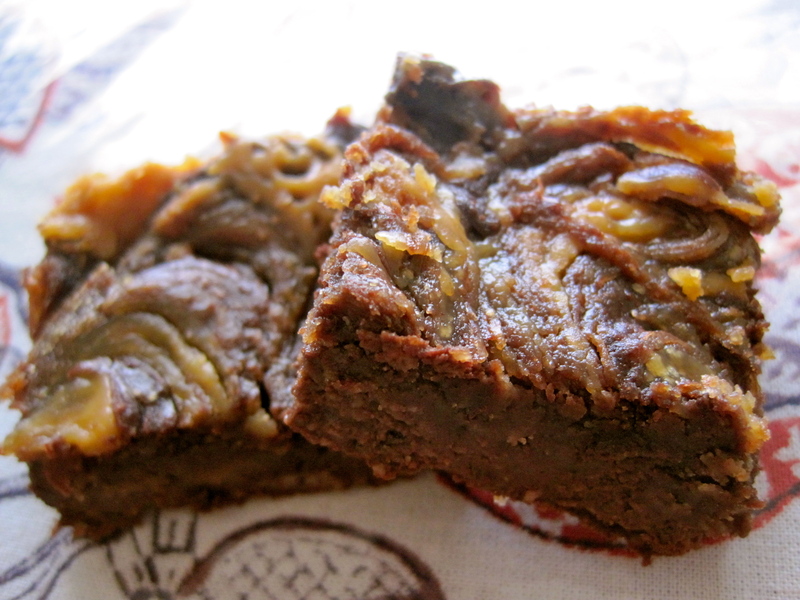 I slightly modified the recipe when I made these, simply to eliminate dairy and sugar. I used almond milk instead of regular, Amande vanilla almond milk yogurt in place of regular yogurt, and Splenda instead of sugar. But honestly, if you bit into these brownies, you’d have no idea. They’re that sinfully delicious. I think a reason I couldn’t wait to make these is that I had all of the ingredients on hand at home. You don’t even have to make a trip to the grocery store, and it all comes together in minutes. My kind of brownie. Will I be making these again? Absolutely. I have a marathon coming up and with oats, peanut butter, and yogurt packed into these babies, they are the perfect running fuel. 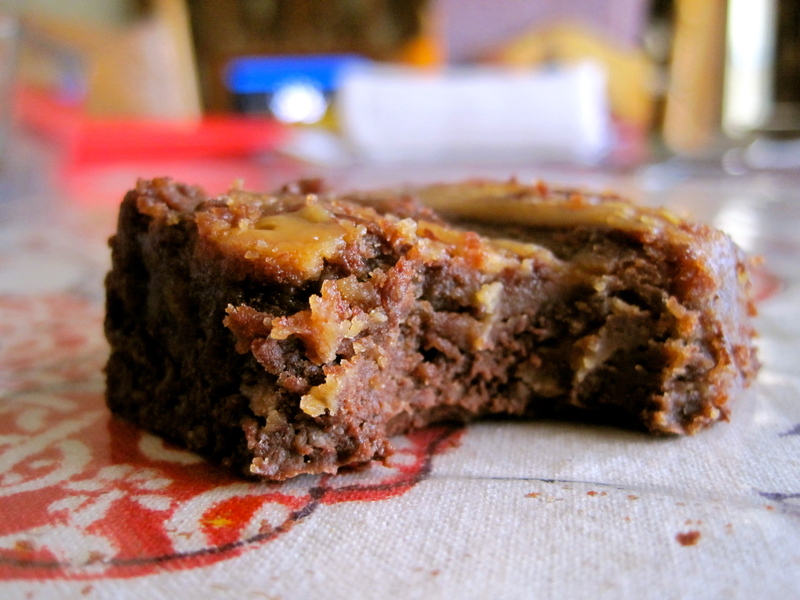 Now that I’ve written so much about these brownies, I’m tempted to go eat one, or two…or a dozen. This entry was posted in Food, Recipes and tagged baking, brownie, chocolate, dairy free, dessert, food, guilt free, healthy, low fat, peanut butter, recipes. Bookmark the permalink. These were the most amazing brownies!! The flavor was unbelievable and the texture was also amazingly smooth, which I find lacking in a lot of healthy recipes. And I am SO glad these are healthy because I just ate half of your tray 🙂 Can’t wait to make these soon!